In the first round of the 2001 NHL playoffs, the No. 2 seed Detroit Red Wings were matched up against the No. 7 seed Los Angeles Kings. Heading into Game Three in Los Angeles, the Red Wings had a 2-0 series lead and were on their way to what most thought was a sure-fire series sweep. The Kings won Game Three. Then Games Four and Five. They were down by three goals in Game Six at home at the Staples Center, but came back to tie the game and send it into overtime. 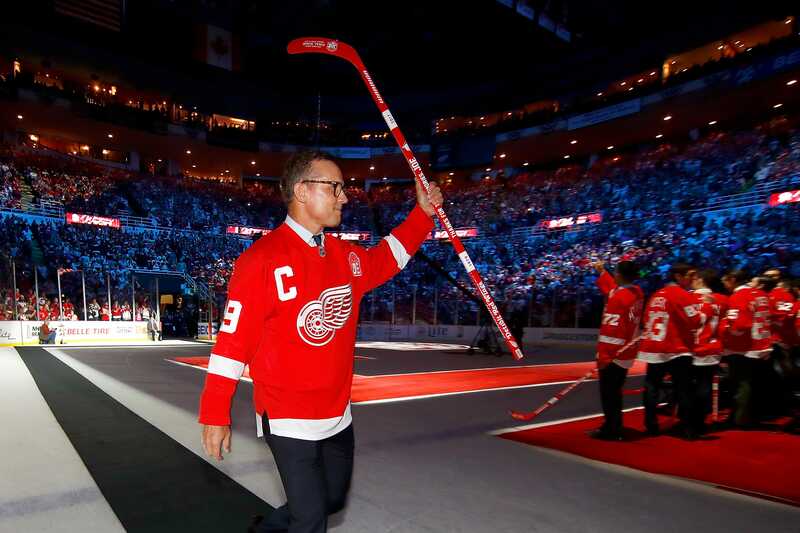 Forward Adam Deadmarsh roofed a shot past Detroit goalie Chris Osgood just minutes into the overtime period, completing the highly unlikely mid-series sweep. The game became known as "The Stunner at Staples." 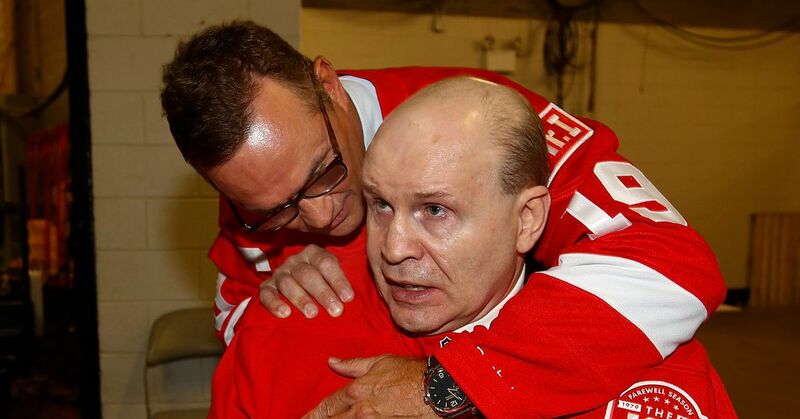 On Thursday night, the Red Wings provided the sequel to this story. Though this wasn't a playoff game and nothing more than two regular season points were on the line, the game had all the intensity of a playoff matchup. The Los Angeles Kings played an unbelievably strong game. They carried the momentum, and the puck, nearly the entire time and utterly dominated the Red Wings. That is, every Red Wing except rookie goalie Jimmy Howard. Howard made a mind-boggling 51 saves (including 27 in the second period, a new single-period record for shots for LA) before being beat by a goal batted out of the air by Kings forward Ryan Smyth during a Kings power play at 4:22 of the third period. This turned out to be the last shot on goal for the Kings. The game seemed destined for overtime as the final minute began ticking away, but Wings forward Darren Helm fired a shot past goalie Jonathan Quick, ensuring Howard's superhuman effort would not go unrewarded. The Red Wings have 22 wins. Jimmy Howard has 15 of them. He also ranks ninth overall in the NHL in save percentage at .927 and 10th overall in GAA at 2.19. Howard leads all rookie goalies in wins, but, more importantly, is the only reason the Wings' playoff hopes are still very much alive mid-way through the season. In a season that has seen so much go wrong for the Red Wings, the one very unexpected but most welcome surprise has been the emergence of Jimmy Howard, now the team's undisputed starter. Howard's monumental 51-save performance is sure to go down as one of the most amazing ever seen at the Staples Center. Aside from the sheer number of shots, the Kings played an almost perfect game and made the Red Wings look every bit the broken, tired, snakebitten team they are right now. By all rights, the Kings should have won this game 7-1. That said, if Thursday's game is any indication of future play, two things are all but certain. The Los Angeles Kings will enter the playoffs as legitimate Stanley Cup contenders and Jimmy Howard will undoubtedly win the Calder Trophy as the NHL Rookie of the Year.